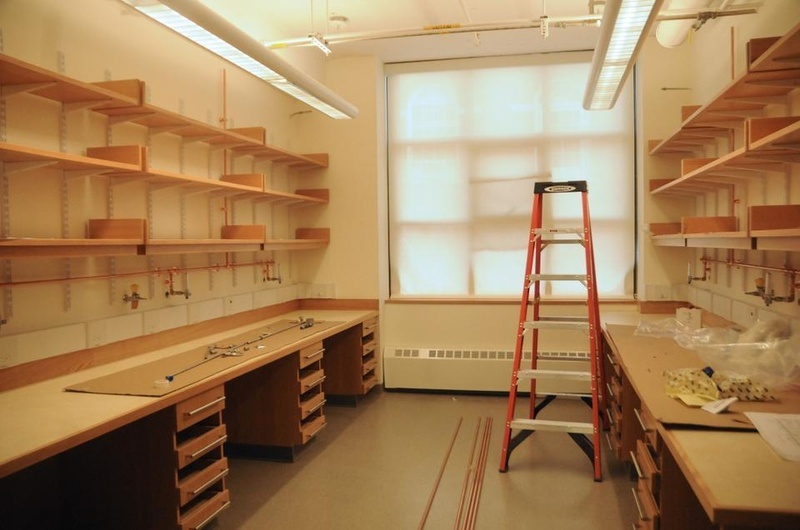 A laboratory on the second floor of Bio Labs is renovated to accommodate the incoming MCB professors displaced by the relocated stem cell researchers. Some members of the Department of Molecular and Cellular Biology have begun the long-awaited exodus out of their laboratories to make room for a centralized space for stem cell researchers. Through a series of moves that will last until mid-May, MCB faculty members currently stationed in the Sherman Fairchild Biochemistry Building will vacate the premises to join other members of the department in the Biological Laboratories and the Northwest Science Building. The transition is occurring more than a year after the University announced plans to relocate the Stem Cell and Regenerative Biology Department to Fairchild in response to the slowdown in Allston construction, where a new Science Complex had been heralded as SCRB’s future home. 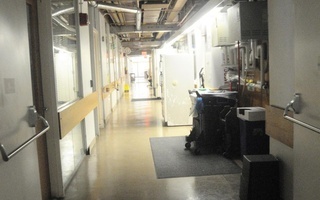 After MCB leaves the building, Fairchild will be gutted and renovated to prepare for the arrival of the stem cell researchers, who hope to be operational for the fall of 2011, according to Kathryn L. Link, executive director of SCRB. This past Monday, MCB began its move-out with Associate Professor of Biology Nicole Francis, when she vacated her laboratory in Fairchild and moved down the street to the second floor of the 79-year-old Bio Labs. 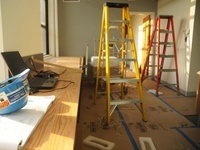 These laboratories were recently renovated to fit the needs of the incoming MCB professors. Next week, MCB Professors Sam Kunes and Matthew S. Meselson will follow suit and move into the second and fourth floor of the Bio Labs, respectively, according to MCB Executive Director of Administration Susan H. Foster. 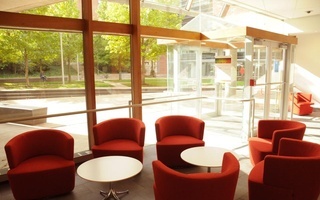 In the following week, Foster said, four other MCB professors will move from their current space in Fairchild Labs to the Northwest Building, a fairly new structure whose “shell” space has been converted into functional laboratory spaces for their incoming occupants. Despite months of planning, the move out of Fairchild Labs has not been without its share of obstacles. For example, a collection of enzymes were lost during the move this week, which has the potential to slow down research in the lab, according to Foster. “The folks that moved her freezers put her enzymes in the wrong kind of freezer, and those all had to be replaced,” Foster said. The recent moves come after months of planning and renovating in response to the Feb. 2009 announcement that MCB professors in Fairchild would be uprooted in order to create a unified space for SCRB, whose constituents are scattered across the Harvard campus. Following the news, many members of the MCB department expressed discontent with the prospect of a drastic transition that often felt like the result of a decision in which they had no input. Meselson, whose laboratory has been stationed in Fairchild Labs for nearly 30 years, was instrumental in securing finances and construction plans for the building during his tenure as MCB department chair in the late 1970s. Administrators and scientists hailed the unveiling of a facility yesterday that will boast 12 state-of-the-art microscopes shared by researchers across the University. Nearly a year after Sherman Fairchild Biochemistry Building was vacated for renovations in order to accommodate newly-consolidated Stem Cell and Regenerative Biology laboratories, researchers say they are mostly settled and used to their new spaces. David D. Cox ’00, an assistant professor of MCB and computer science, is leading MCB80.1x, a new online counterpart to the Harvard classroom course MCB 80: “Neurobiology of Behavior,” as part of Harvard’s continually growing involvement in edX. The Molecular and Cellular Biology concentration will revamp its requirements and extracurricular programming to allow concentrators greater flexibility and incorporate recent “astonishing changes in biomedical research,” MCB head tutors Susan Mango and Rachelle Gaudet announced in an email to concentrators on Monday.